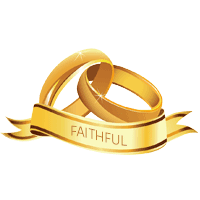 “Are you experiencing anxiety and stress concerning your lover’s loyalty and faithfulness? “And you are not at all certain how to deal with it? “One thing is certain: your love and trust in this person will never be the same if your lover is looking outside the relationship for “extracurricular” activities. “Please note: It is not too late to do something about it, but if you sit back and do nothing you may regret it later on. You fear your lover has wandering eyes. You are certain this relationship will be long lasting “if and when” your lover truly commits to you. You feel anxious and insecure because you’re afraid your lover may leave you. You want your this special person to have eyes for only you. You want your lover to realize you are the best person, the only person who truly loves and cares about them. You want your lover to reciprocate your loyalty and love.